There's no shortage of historic architecture in Cuba. Dozens of buildings are classified as UNESCO World Heritage Sites, and the capital of Havana still feels largely the same as it did during the mid-20th century. Many of the buildings are weathered, yet still boast elaborate balconies and gorgeous windows. Havana is one of the most architecturally diverse cities in the world. Soak in Havana's colonial architecture, known for its strong Moorish and Spanish influence. The Convento de Santa Clara demonstrates early Spanish influence while the Plaza de la Catedral represents Cuban Baroque. Be sure to admire The Lopez Serrano Building, Cuba’s first tall building, and still its best example of Art Deco. The Museum of Revolution, which was originally constructed as a presidential palace in the 1920s, is not to be missed. Much like the architecture, Cuban art is a hybrid of African, South American, European and North American styles. There are more than 100 art galleries scattered across the country, not to mention 46 schools of art, and an international film school that welcomes some of the world’s best actors and cinematographers. Visitors can see some of Cuba’s best paintings at the Museo Nacional de Bellas Artes, including Victor Manuel Garcia's La Gitana Tropical, considered one of the defining pieces of Cuban modern art. From the late 1920s to 1950, the Vanguardia movement took over, infusing Afro-Caribbean themes into artwork. Keep an eye out for pieces by Wifredo Lam, a renowned master of this period. Starting in the 1960s, graphic art swept the country, which you can witness this in the murals across the island, such as the Pambiche mural in Havana. Find Cuban contemporary art at the Galleria Habana. Other noteworthy galleries include the Centro Raul Martinez Galeria de Arte Provincial in Ciego de Avila and the Estudio-Galeria Jover, the working studio of artist Joel Jover. With such a diverse history, Cuba has enough museums to keep visitors occupied for weeks. In fact, there are more than 256 museums in the country, whose topics span from the Cuban Wars of Independence, to Fidel Castro’s bloody Revolution, to colonial times, to religion, to tobacco. The National Museum of Beautiful Arts of Cuba is a must-visit, housing the largest collection of Cuban plastic art. Visitors rave about The Museum of the Revolution, Museum of Decorative Arts and Ernest Hemingway’s Finca Vigia. Learn about the iconic leader of the Cuban Revolution at the Che Guevara Mausoleum, a memorial in Santa Clara. To enjoy decorative objects and furniture of mansions from the 18th and 19th century, visit the Museum of Colonial Art. Cafe Cubano, what locals call a cafecito, is an espresso coffee in the Cuban style; it tastes strong and sweet. Coradito is an espresso topped with varying amounts of steamed milk, cafe con leche is coffee and hot milk. Finally, colada is cafe Cuban that is meant to be shared. It comes in a larger cup with small accompanying cups for decanting. The national sport in Cuba is baseball. Throughout the regular season spanning from November to March, La Pelota is a heated topic of conservation. Players are treated like celebrities. For travelers interested in baseball, be sure to attend a game at the Estadio Latino-Americano in Havana. Typically, tickets cost only a few dollars. Now is the perfect time to take a Cuban vacation. 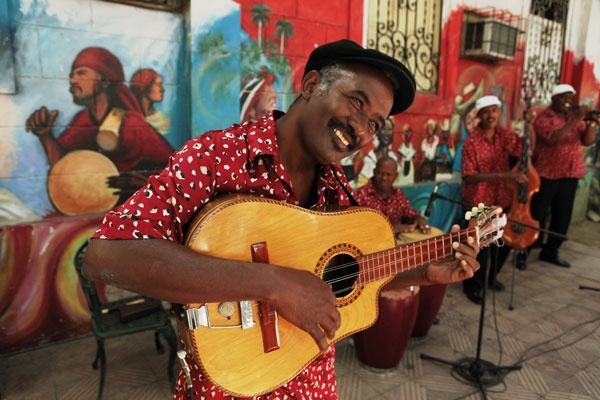 We offer cruises to Cuba and beyond that feature cultural exchanges. These are opportunities to get to know individual Cuban people, and learn more about one another’s cultures and everyday lives. It is one of the most enriching part of our Cuba tours, and we know that you’ll love them! We have several itineraries to Cuba, including our Cuban & Caribbean Escape, and the globetrotting Venice, Croatia & Cuba Cruise and Tour. To make your plans to join an escorted Cuban vacation, call your travel consultant or YMT Vacations at 1-888-756-9072.